Heeft u een vraag voor Hotel Windsor? Als u zoekt naar een gunstig gelegen accommodatie in Mumbai, zoek dan niet verder, Hotel Windsor is wat u zoekt. Het stadscentrum is slechts 19 km verwijderd en het vliegveld kan binnen 34 minuten worden bereikt. Dankzij de praktische ligging, biedt de accommodatie eenvoudig toegang tot alle belangrijke trekpleisters van de stad. 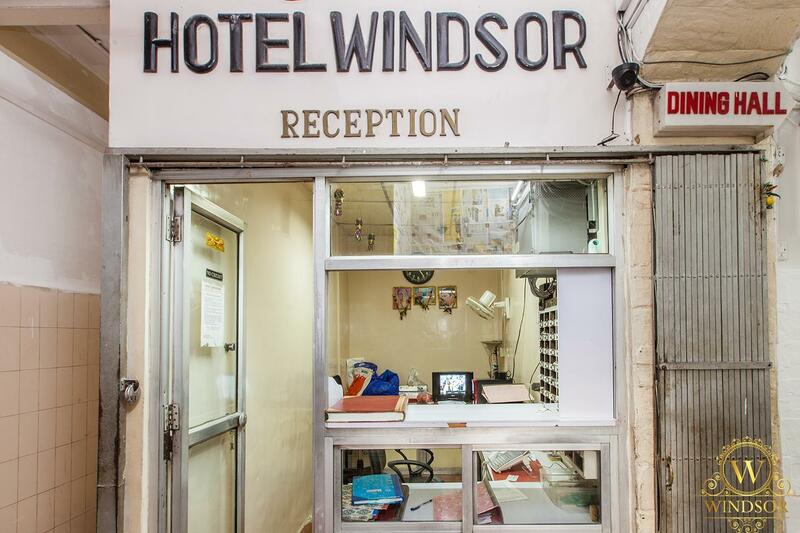 Hotel Windsor biedt een onberispelijke service en alle essentiële voorzieningen om vermoeide reizigers een verkwikkend verblijf te bieden. Gasten kunnen gebruikmaken van de voorzieningen terplaatse zoals 24-uur roomservice, 24-uur receptie, snel in- en uitchecken, bagageopslag, wi-fi in openbare ruimtes. 46 kamers, verspreid over 3 verdiepingen, bieden een warme en plezierige atmosfeer. Enkele kamers zijn voorzien van voorzieningen zoals slippers, handdoeken, draadloos internet (gratis), airconditioning, wekservice. De accommodatie biedt talrijke recreatieve mogelijkheden, zodat u voldoende te doen heeft tijdens uw verblijf . 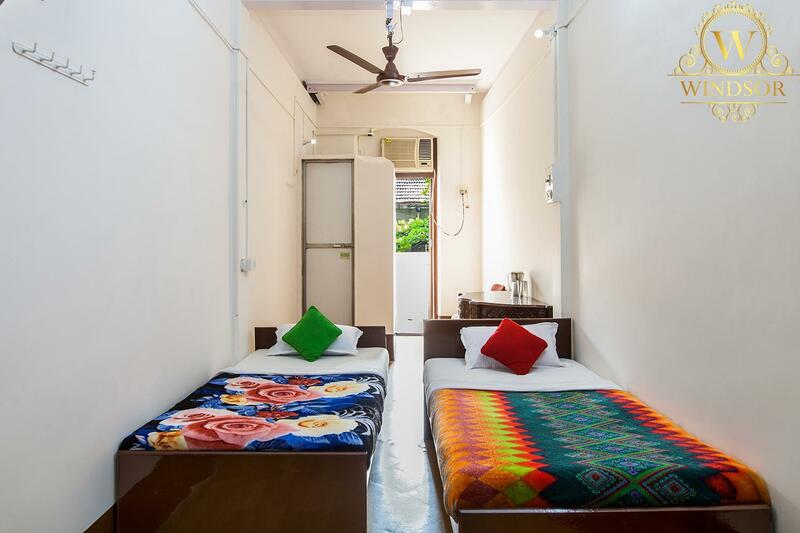 Als u op zoek bent naar een accommodatie die comfort en gemak in Mumbai biedt, dan is Hotel Windsor uw thuis ver weg van huis. Full of crocoaches, very dirty, no toilet inside room . Would not recommend this hotel for the price it cost. 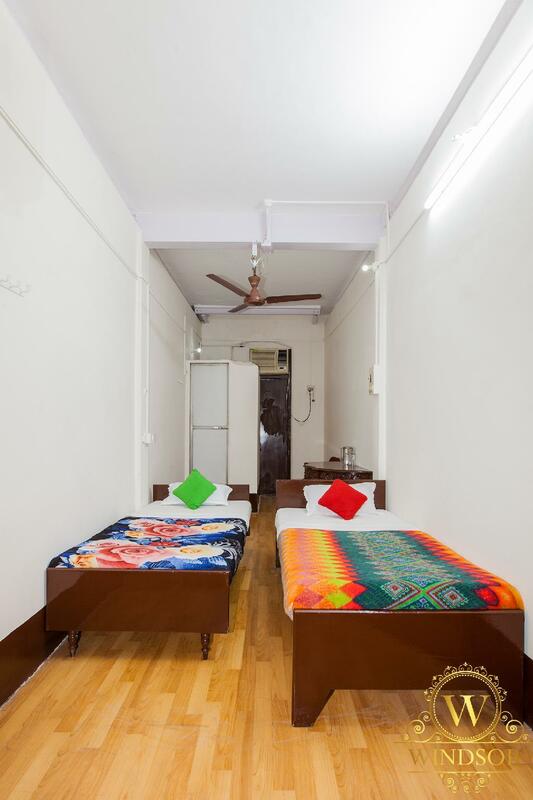 anyway mumbai hotels are so expensive , this hostel maybe one of the cheapest although my room is dirty but toilet is ok. The whole building has a feel of a prison. The staff are polite enough. The room we stayed in had stained and damp sheets (one end being soaking wet?). The wifi was erratic at best. It's cheap and that's it's only saving grace. Lovely cheap coffee shop across the road though. As a solo female traveler, the time I arrived in Windsor Hotel I thought it was a huge mistake. The building is old and might need a good hand, and being my first time in India, I was very concerned about the looks of the street where it was located. But let me tell you, after a couple nights staying I couldn't have asked for a better place. Personal is super kind, and they really take care of their travelers (especially women), location couldn't be better (10 minutes walking from Victoria Terminal), and even at night there is people on the street, there are several business there, which makes it a safe zone. Breakfast (included) was good (had omelette, toast and a great chai), shower was in my 5 bed bedroom, and there were continental restrooms to share. Beds were not exactly soft, but considering I just stayed there for a good night's sleep every night, it was good for a pricey city like Mumbai. You get what you pay for, and as an extra get the helpful and nice people working there. The receptionist wanted us to pay R1000 rupees for the room. He lied the hotel was fully booked. I logged on to Agoda and got the room for 392 rupees. That guy at reception cannot be trusted. He lies about everything. The owner is a very good person. Very helpful, kind and considerate. This lying receptionist brings the hotel to disrepute. The owner should get rid of someone who lies so much. This is the dark, fat tummy reception who lies. Had a peaceful and pleasant stay. Basically a backpackers haven!! 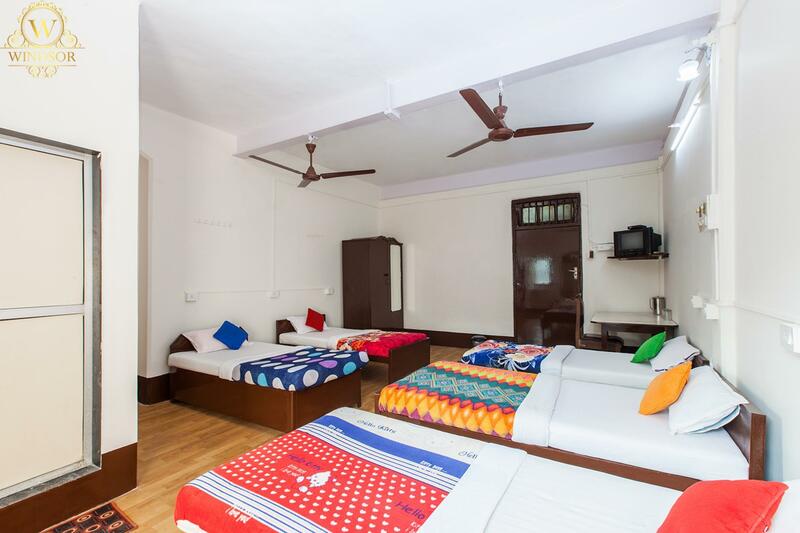 + Just 5 minutes from the central train station (CST). Lots of pubs & restaurants around the corner. Good free breakfast. Very nice staff. Easy walk or bus to southern Mumbai monuments. - No cleaning for the 2 days I was in. The building is very old. No common area for socializing. Dirty dirty dirty. Not worth the price. But yeah, Mumbai is overpriced everywhere. Room could have been cleaned more thoroughly as well as the bathroom/handbasin which were dirty. Staff friendly. Not great value for money, compared to what you expect for this price anywhere else in India. Mumbai accommodation appears to be expensive all round. Despite being advertised on Agoda as air conditioned my room was not and when asked about this they said aircon was not possible at this price, I showed them the Agoda listing and they said they would have it corrected to avoid misleading future guests. Nothing bad about the place. It is in a dodgy are, but it's clean and inside feels safe. Mumbai itself is great! No lockers available and room security is very poor. Shower is a trickle so you use a bucket and jug provided. Room was not cleaned in 4 days despite being shared. Sheets were stained and dirty. Wifi only available between 7am and 12pm in a small common room. Check in/out is 24 hours from arrival so good for late flights. Fairly close to CST station. 01. Amenities for Dormitory x 2 : Shows room air conditioned on your web page- but actual it was not. 02. Online rent was Rs. 100 per day more if paid in cash. 1.Value for money,2.Good location,3.Staff very good,co operative. Close to CTS (Victoria terminal), walking distance. Breakfast is quite good. Wifi only in the public room area, shower inside the room. No quilt, it feels a little bit cold in the early morning. No hot water for your taking shower. Anyway, it is really cheap and I think is value for the money. The location is close to the center, nice spots to eat around the hotel. Staff is friendly. The breakfast is not for everyone but it's included so there you go. Stayed for over a week. Good experience although it's not the cleanest.